We have opened up our Agency Partner Program for applications. Our agency partners get access to premium technology with smarter influencer search, integrated reporting and white labelled proposals. Apply to get a full demo of our technology. 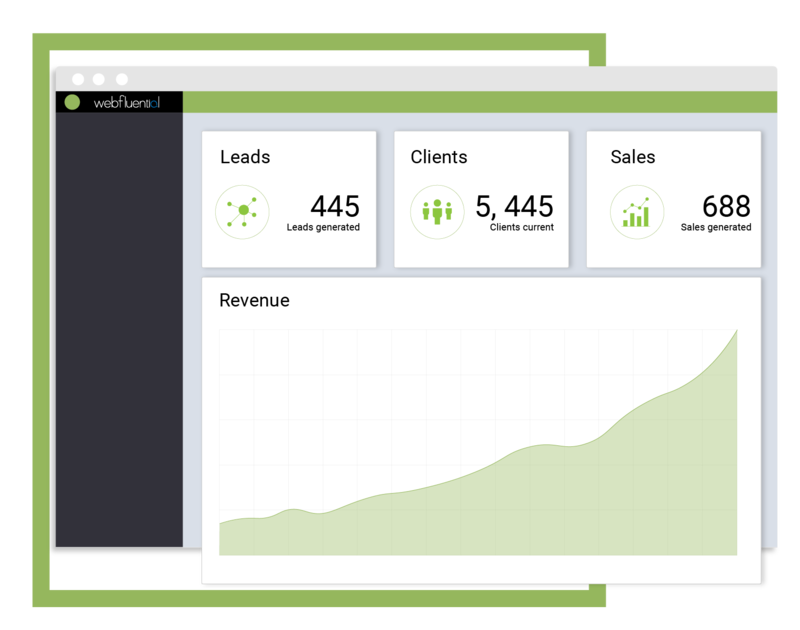 Supercharge your large-scale influencer campaigns using Webfluential technology to publish and distribute your client’s content online and report on all the key KPIs. Source and collaborate with the right influencers to create and share your client's content online. 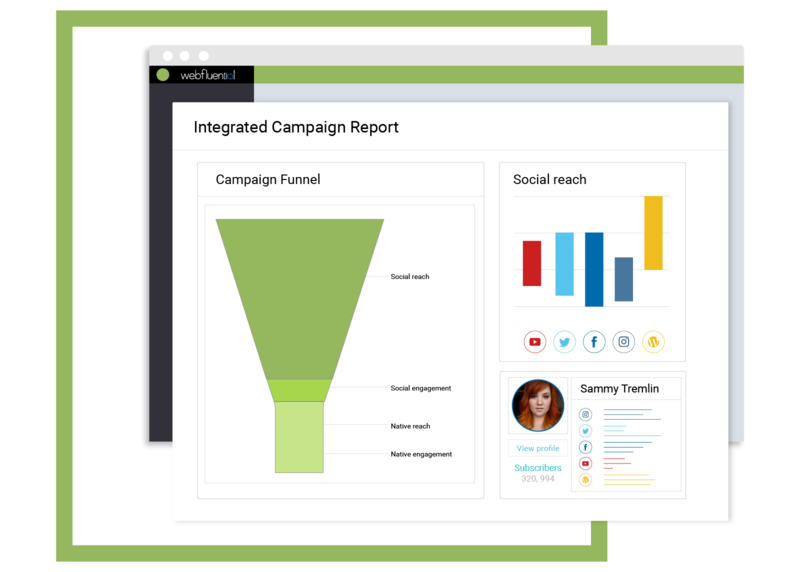 Track campaign progress and deliver in-depth reporting and insights across Twitter, Instagram, Facebook, blogs and Snapchat. Source and engage with thousands of influencers. Create an exclusive network of influencers for your client’s brand. Webfluential does more than run influencer campaigns. 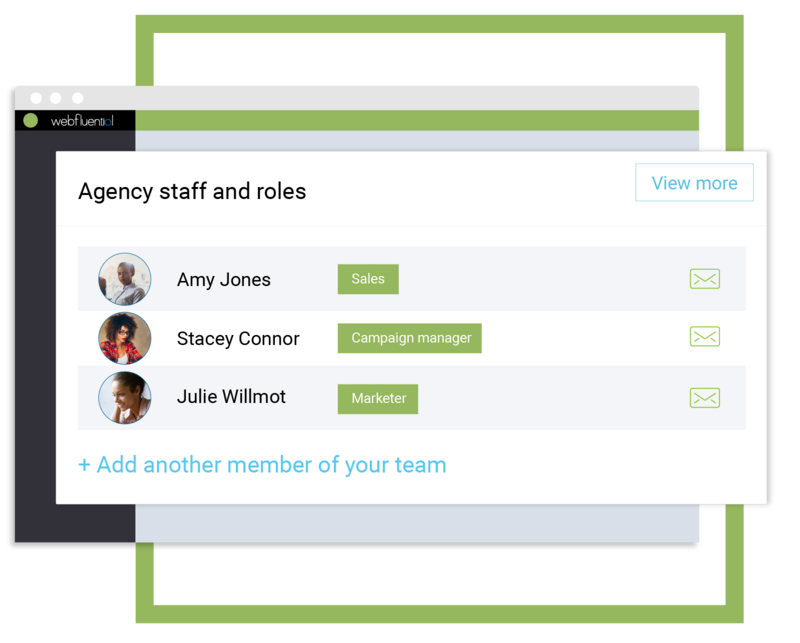 Assign user roles to sales and finance, collaborate with your team, and use workflows to get more done. 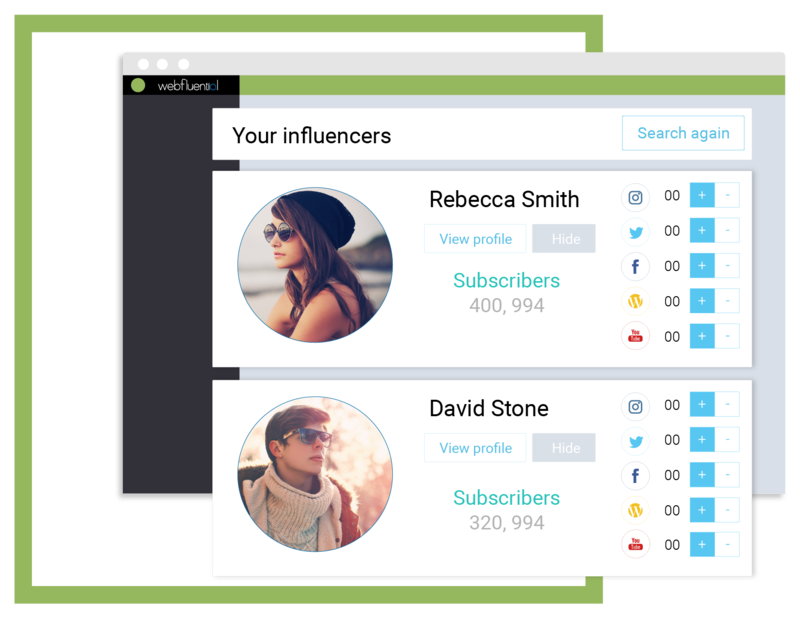 Manage your influencer campaigns more efficiently and profitably.